Tweets Now Indexed in Google Search: Twitter and Google just struck a deal to include tweets in Google search results. Tweets will be available in search as they are published in real-time. The deal significantly expands Twitter’s reach since Google commands 75% of the search market. 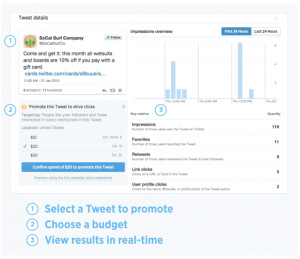 Twitter Adds Quick Promote Advertising Feature: Twitter had added Quick Promote to its range of advertising tools for small- to medium-sized organizations. Quick promote allows users to easily begin promoting their best performing tweets. 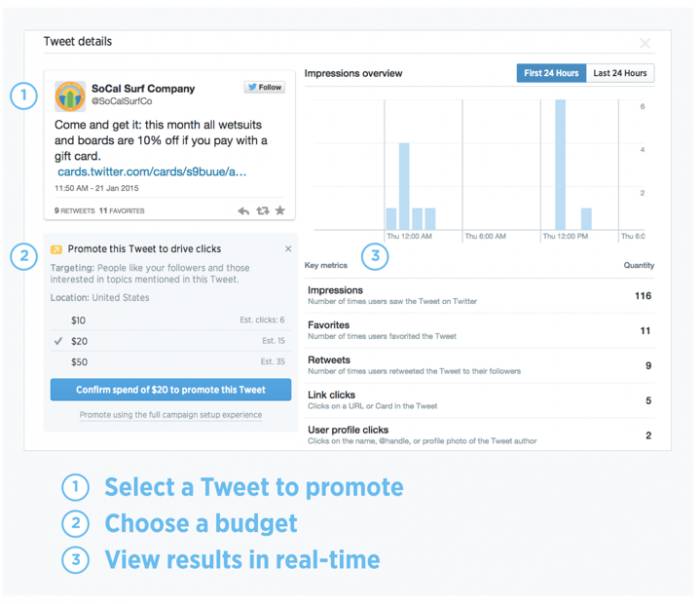 The tool is available through the Analytics Tweet activity dashboard. Tumblr Now Offers Filtering By Post Type: Tumblr has simplified archive search by adding filtering by post type. Post types include text, photo, quote, link, chat, audio, and video. The feature can be used to search through a user’s own or anyone else’s blog.